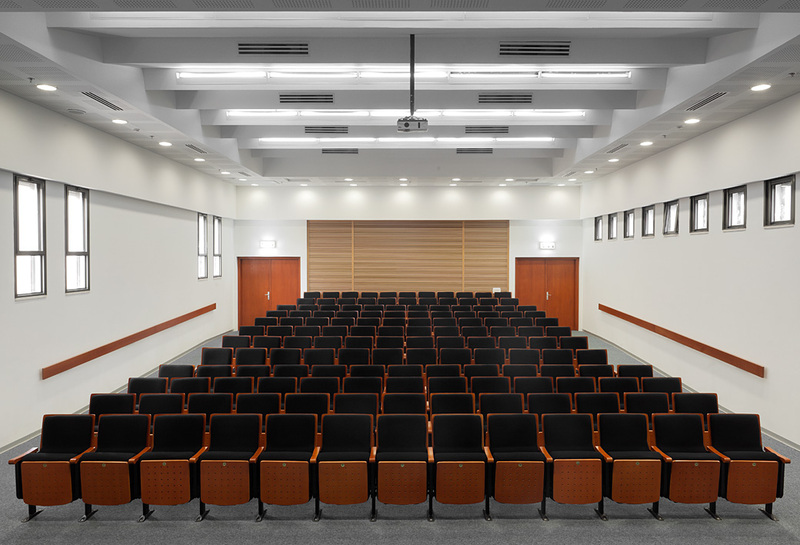 The Miron Sima Memorial Auditorium was built to host conferences and symposiums related to exhibitions presented in the Mishkan Museum of Art. The auditorium has 145 seats, and is suitable for small-scale lectures and seminars. Ever since its opening in 2011, the auditorium hosts encounters with the finest Israeli filmmakers, as well as musical performances include in the Pearls of Music series.